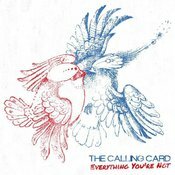 For more information on The Calling Card and their new album“Everything You’re Not, please visit their facebook page (facebook.com/thecallingcard). 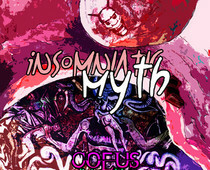 The indie, prog-rock band Coeus The Boxing Titan recently released their sophomore album entitled "Insomniatic Myth." This album takes on a more electronic, industrial sound than that of it predecessor. If you let this music take you on its journey, you may find discover new soundscapes through these many layers of music. The journey begins with "A Giant Leap" which brings dance-hall beats together with rock 'n roll edginess. The "Bright Side" takes on a more Nine Inch Nails, industrial rock sound, while "It Begins In Confusion" brings in a hip-hop backbeat highlighted by screeching guitars. The music blasts you back in your seat, until the jazzy sounds of "Annie." The most interesting song on the new album is "For Immortality," which utilizes the piano interlude against spoken-word lyrics in order to make them sound darker. The album closes with experimental beats of "The Projectionist" which ends the album on a hight note. For more information on Coeus The Boxing Titan, please check out their website at coeustheboxingtitan.com.